Sixt offers premium, affordable car rental deals in Croatia. Our fleet consists of a large selection of rental cars from leading brands, and we have a full range of styles to cater to your mobility needs. 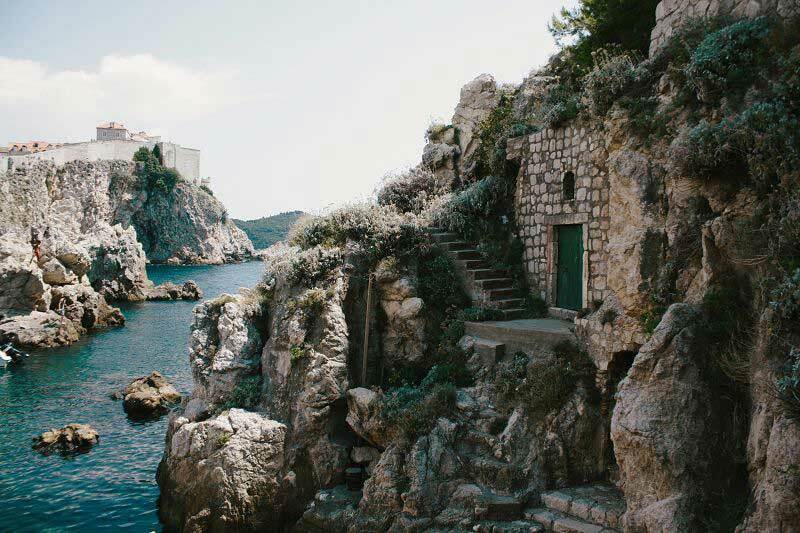 Croatia has so much to offer visitors and with our numerous branches we are ready to get you on the road and your travel adventure underway! With Sixt you can be sure to be driving an up-to-date, well-maintained rental vehicle. We offer attractive rates on vehicles from top brands such as Audi, Mercedes-Benz, BMW, and Ford. Our useful add-ons enable you to customize your rental to your needs. Any combination of extras can be easily included while you book so your rental will be prepared for your arrival. When you rent a car in Croatia you can tack on optional features like Roadside Protection, child seats, GPS, unlimited mileage and additional drivers. Compact cars are ideal for navigating your way through large cities, and easy to park! Sedans are a good choice for weekend trips and long-distance trips between cities. You'll have ample room and all the amenities you need for a comfortable drive. Station wagons and SUVs are ideal if you need more space. Typically you have room for three large suitcases plus two handbags. When traveling with a large group check make use of our 7 or 9-seater minivans or check to see if there is a Sixt car rental in Croatia branch that can provide one of our 12, 15 or even 17-seater passenger vans. While Croatia is known for its beaches and rugged coastline, there is much to see and do in the winter. Its Christmas markets are charming and the one in Ban Jelacic Square in Zagreb is worth a visit. Meanwhile, the Dubrovnik Winter Festival lasts for 40 days and generally starts at the beginning of December. If you are looking for a little sun, going to the south of Croatia on the Dalmatian Coast is a good idea. It might not be warm enough for a bikini, but you can walk along the beach. There are also possibilities for skiing in the mountains north of Zagreb or at ski resorts like Platak or Velika. Those traveling to the south will enjoy a convertible or sports car to cruise the coast, while in the north an SUV is a good idea since it can snow a lot. Be sure to check the availability of winter tires and ski racks with the branch. In Croatia all driving licenses are accepted. If your license is printed using a non-Latin alphabet, for instance in Russian, Arabic or Chinese, you will need to get an International Driver's Permit (IDP). An IDP can only be obtained before you leave the United States from either the American Automobile Association (AAA) or the American Automobile Touring Alliance (AATA). Generally, countries that speak English will not require an IDP. If you are under 22 or over 70 years of age, a surcharge is applicable please see the rental information on the booking page for more information. To rent a car with Sixt in Croatia you must have been driving for at least 2 years. Payment for your car rental in Croatia must be done via credit card. Sixt accepts all major credit cards and AirPlus, while all prepaid and debit cards (such as VISA Electron) are not accepted. The payment method must have been issued in the name of the driver and this must be presented at the time of vehicle pick-up and be valid at this time. In the event of an accident, please inform the police immediately. It does not matter whether the vehicle is only slightly damaged, the accident was self-inflicted or if no other vehicles were involved. Please fill out the accident report that was provided to you with your rental documents and report any damage to the vehicle directly to Sixt during the rental period. For general emergencies in Croatia call 112, for police 192 and for roadside help 1987. Crossing borders to most European countries is allowed including Italy, Austria, Slovenia and Hungary. A surcharge for crossing borders is applicable and for some models additional branch permission is required. Please check our Rental Information page for more details on the countries included and the surcharge. Most roads in Croatia are in very good shape if you stick to the official routes, and it is a beautiful varied landscape to drive in. Roads leading to the seaside can get congested in the summertime, so if heading to the beach check out traffic information in case you need to plan an alternative route. The main routes through the heart of the country are the A1 and the A3. Different A roads come off from these major routes to Croatia's largest city destinations. The state D roads are also well maintained, we are sure you will become familiar with the D8 which runs all the way down Croatia's stunning coastline. No drinking and driving. Having more than 0,5% in your blood is punishable by a hefty fine and can result in a ban and suspension of driving license. Speed limits vary but as a general rule, 50 km/h (30 mph) in residential areas, 90 km/h (55 mph) in non-residential areas and 130 km/h (80 mph) on motorways. Be aware that speeding fines are hefty. Do not use your mobile phone when driving and keep your seatbelt on at all times. In the winter headlights must be turned on also in the daytime. The Sea Organ in Zadar is a fantastic experimental musical instrument. It plays using the force of the sea's waves and series of tubes and resonating cavities. Pula Arena is a Roman amphitheater in Pula, it is among the sixth largest Roman amphitheaters in the world and among the best preserved ancient monuments in Croatia. 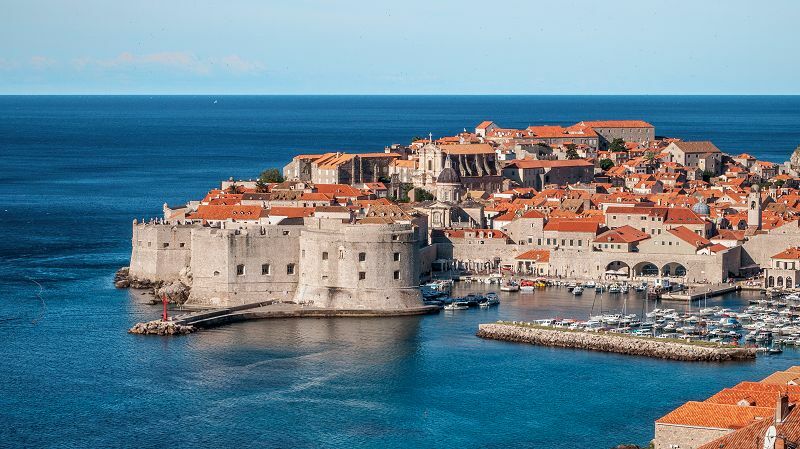 A UNESCO listed World Heritage Site, the Old Town and City Walls of Dubrovnik are the most iconic feature in the city, be sure to get up high for a spectacular view of the old cities terra cotta rooftops. In Croatia's largest coastal city, Split, be sure to see the ancient Diocletian's Palace. Named after the Roman Emperor, the structure is huge and more resembles a giant fortress. There are many in Unesco World Heritage Sites in Croatia, Plitivice Lakes National Park is another. This series of cascading lakes is utterly spectacular and gathers a huge number of tourists in high season. The Zlatni Rat is a 2km long spit that juts out into the Hvar Channel. On all sides, there are golden beaches, ranked among the best in Europe. The Skradinski Buk Waterfalls are one of the most beautiful parts of the Krka National Park made up of 17 large waterfalls that cascade into a gigantic clear pool. In Dubrovnik, the Trsteno Arboretum is among the top sightseeing destinations in Croatia. The oldest Arboretum in the world, the park dates back to the family Gozze who in the 15th Century who began planting seeds from their travels. Two Oriental planes situated in the marketplace have survived over 500 years.